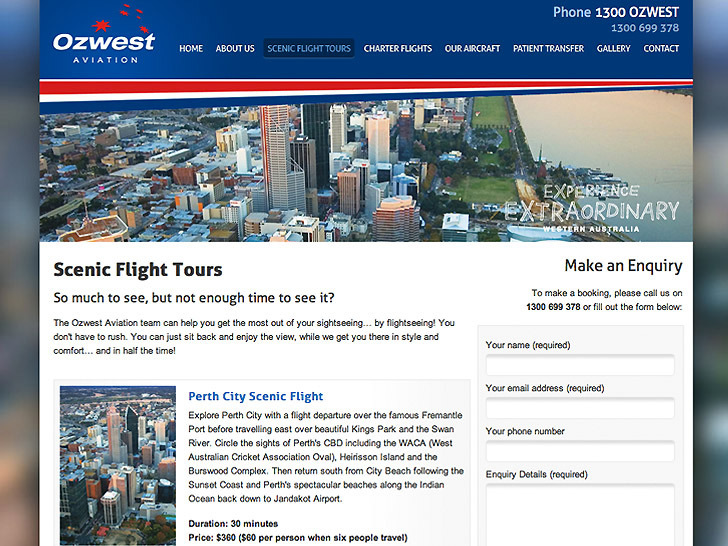 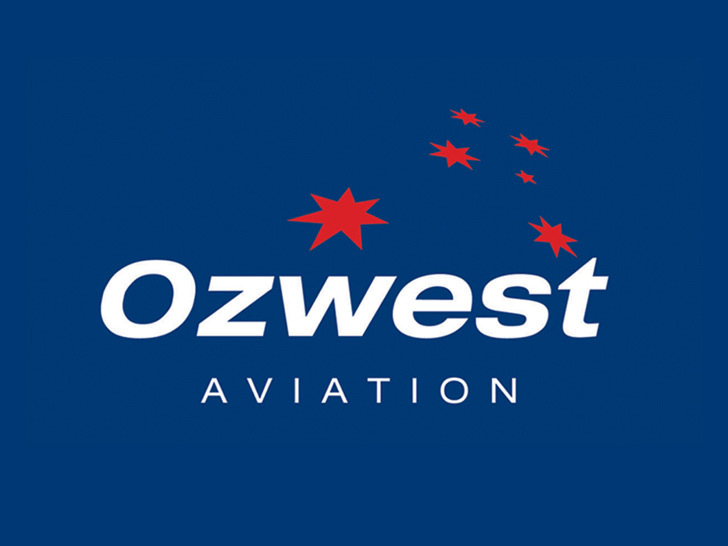 Ozwest Aviation is one of WA's leading Perth based flight operators with a focus on service and safety. 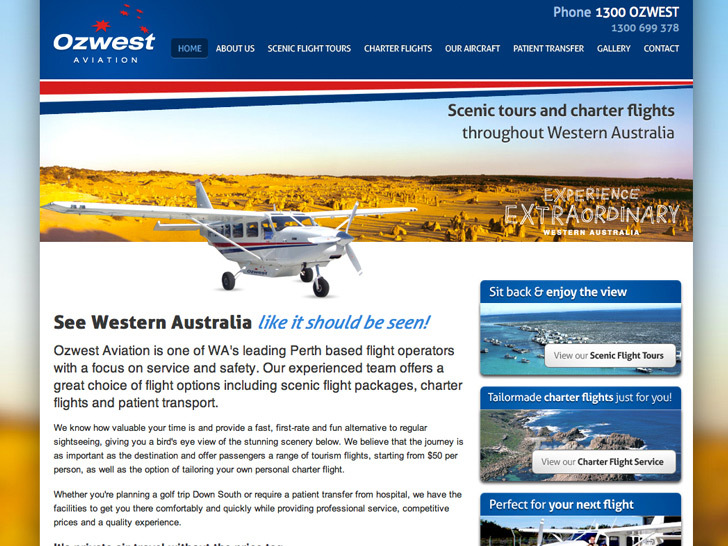 Their experienced team offers a great choice of flight options including scenic flight packages, charter flights and patient transport. 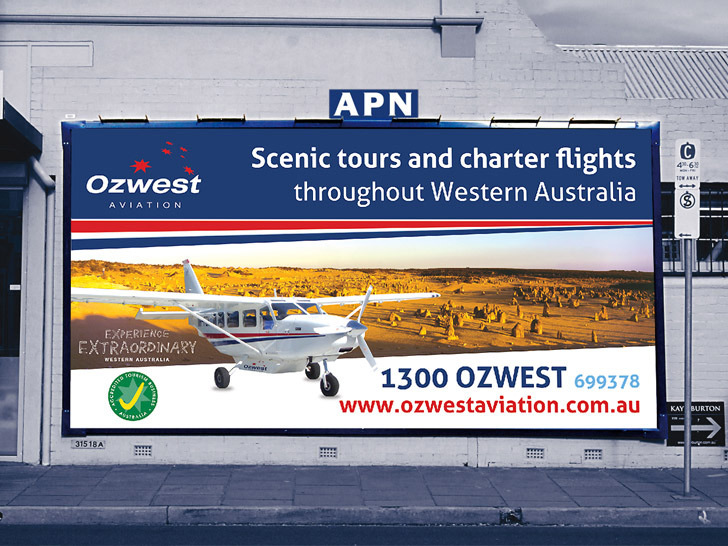 Ozwest approached us with a requirement for a complete branding package, including logo design, stationery, signage, website and print management.